After Forbes reported a story last week about Papa John’s founder John Schnatter using racist language during a telephone call, Schnatter apologized and stepped down from his position as chair of the board of the company. Still, the fallout from Schnatter’s phone-call reveal continued all weekend. 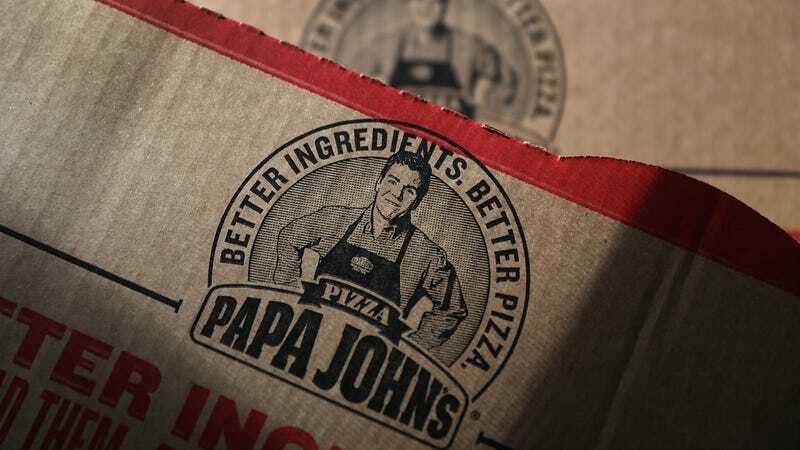 Bloomberg reports that Papa John’s responded by “evicting him from its headquarters and removing him from all marketing materials.” After a special Sunday night board meeting, a committee of independent directors “ordered the termination of a so-called founder’s agreement that designated Schnatter as the brand’s face and voice and is requesting he cease media appearances on behalf of the firm.” The committee also recommended cancelling the sublease that was enabling Schnatter to rent office space in company headquarters. According to the Institute Of Higher Ed website, both the University Of Louisville and the University Of Kentucky are distancing themselves from the Louisville-based company: UK will “discontinue its financial relationship with Schnatter,” while Louisville is changing the name of Papa John’s Cardinal Stadium to Cardinal Stadium. “The university will also remove Schnatter’s name from the Center For Free Enterprise at the College Of Business.” Morehouse College, a historically black college in Georgia, announced that it is suspending its relationship with Papa John’s as a dining option and planning on removing the franchise from campus.